Welcome to day #1 of the Paper Makeup Stamps March release sneak peeks! Today is the Build a Sentiment set sneak peek day! Products used on my card: Bazzill and Neenah cs, BG dp, Memento ink, Copic Markers and Airbrush system, Copic Atyou Spica pens, WRMK trim, and machine stitching. The images of the birds are from the PMS Tweet Things set! On the inside of my card, I have the sentiment "on your engagement" which is also part of the new set! For some reason I couldn't get a picture of it as my camera started acting up and wouldn't focus properly - sorry. 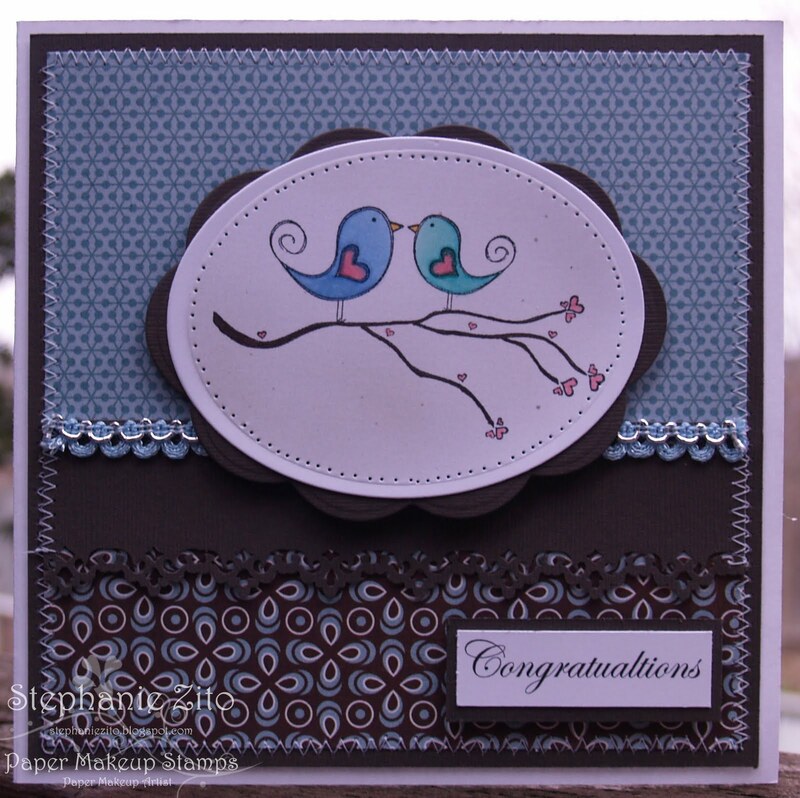 Make sure you check out the PMS blog for more inspiration from the PMS DT for today's peeks, the rest of the week and don't forget to join us for the PMS Release Party in the PMS Forum on Saturday, May 7th at 9:00 p.m. EST.! Like every artist, you feel compelled to point out what went wrong! Instead of celebrating your talent and creativity - which you should!! I love your card, it's very pretty and I hadn't noticed the typo until you pointed it out!